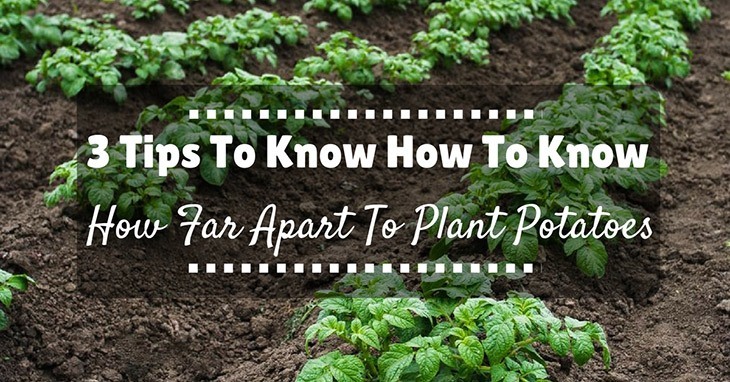 How Far Apart Should You Plant Your Potatoes? How Do You Measure The Distance Of Your Garden To Get Started? Any Troubleshooting Issues We Need To Know About? As a rule of thumb, potatoes should, on average, be planted at least twelve inches apart from each other. Distance-wise, they should ideally be planted 30 to 36 inches, although 20 to 26 inches can work as well. You will also need to plant them along the rows, in order to ensure that they are not overcrowding each other and otherwise creating a competition in sharing nutrients and fertilizer from the soil. After all, you do not want to have inadequately-grown potatoes in your garden! While it is true that measuring the distance of your garden for spacing out potatoes requires the help of a measuring device (e.g. measuring tape, measuring sticks), you might find that it will also depend on just what type of layout you would like for your garden. Some are more efficient than others, at least depending on the plant that you would like to plant, so taking that into consideration will be important. Using this technique, crops are placed in a block formation, rather than in a traditional row. This is to maximize the number of square feet in a plot of land to grow as much crops as possible in one batch. Using string to mark off each foot of land, you will also need to make sure that there is a minimum distance between each crop, so that they do not crowd each other. You might also need to trace lines in the soil to make sure that the square is just right, before proceeding to make other squares in the rest of the plot of land. As the name suggests, you will be planting crops along long, single-lined rows for a more spread-out feel to the garden. Especially if you grow different sorts of crops next to each other, it creates a sort of “patchwork effect,” or a multi-colored, diverse-looking plot of land that makes for a rather attractive garden. To get started, you will need to measure out the length and width of the area that you are planning to grow the crops in. Next, you will need to do some math in order to determine just how many crops can fit into a row comfortably, without squeezing too many in. You will need to divide the width of the garden by the space between the rows and the length of the garden by the space between plants. You will tend plot each point with a stick, before starting to plant your potatoes and other crops (if you so desire). If you perform all of the strategies’ instructions above in perfect order, then you should not have any problem with distances between potatoes. If anything, growing them farther away than usual is better than closer, which can create problems with soil and nutrient distribution. If you have any troubleshooting questions, though, please do let us know! Overall, planting potatoes in terms of distance apart is not too difficult if you research beforehand and know what to expect. Soon enough, you will have big, full potatoes growing prosperously in your garden. 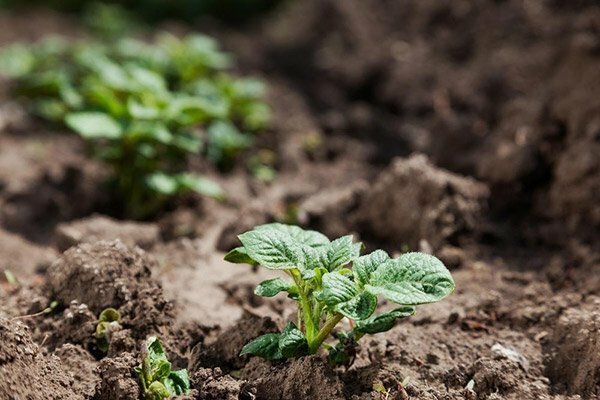 Potatoes are the best product to grow on the recently broken meadow or no man’s land, earthing up and the thick leaf shade help tidy up arrive. Potatoes ought not by any stretch of the imagination be grown on a plot that has had potatoes on it in the past two years. They can be grown in most soil composes, for instance, I have very earth full land and mine have thrived, not just that I am informed that they will help separate the dirt.